If you live in a city, chances are that you’ve seen electric scooters parked on the sidewalk (sometimes rather haphazardly) and users opting to use them over city bike-share bikes. 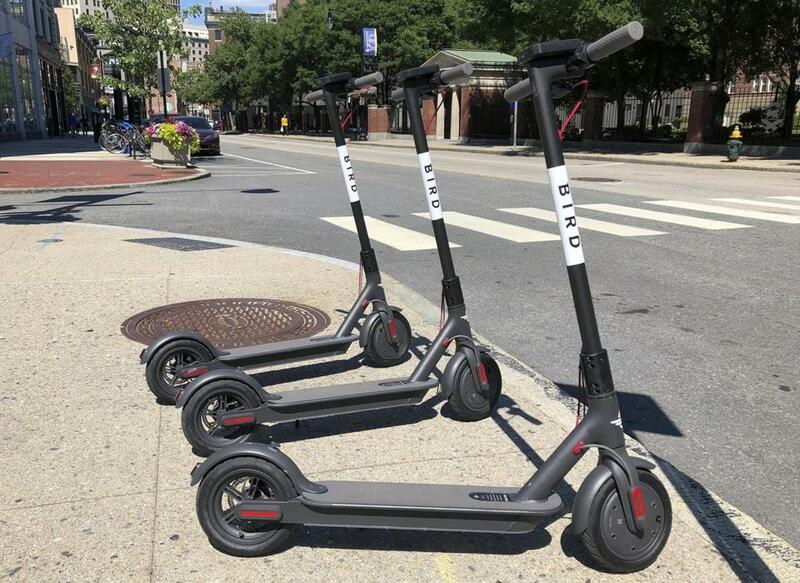 While scooter companies Lime, Bird, and Spin offer sightseers and commuters a low-carbon transportation alternative, the uptick in scooter use has been sending riders and bystanders to the hospital, according to new research from UCLA. As Live Science explained, the study examined injuries at two emergency rooms (ERs) in the Los Angeles area, the first spot where the now-trendy rental electric scooters became available. The results showed that in just a one-year period, nearly 250 people were treated at the two ERs for injuries tied to electric scooter use. That’s similar to the number of injuries tied to bicycle use (around 200 injuries) seen at the two ERs over the same period. Many injuries resulted from riders not wearing helmets–only 4% were documented to be wearing a helmet, the researchers said. Local laws for the use of e-scooters vary, with most cities prohibiting riding on sidewalks. E-scooter companies generally recommend that riders be at least 18 years old and wear helmets, although users seem to often disregard these guidelines. Senior author of the study Dr. Joann Elmore, a professor of medicine at UCLA’s David Geffen School of Medicine, said she thinks that electric scooter riders are “underestimating the hazards” of these vehicles. Why This Matters: Making cities more walkable and less congested with car traffic is an attractive prospect for most metro areas. This can also go a long way in reducing GHG emissions and helping reduce smog and other sources of air pollution that pose a threat to human health. However, it’s important that as we begin to depend on more alternative methods of transportation that we use them safely and that we spread public awareness about safety precautions. Even if you think helmets are dorky, please wear them, they save lives!